The prohibition of cannabis has nothing to do with public health. It began as a racist tool to oppress non white people. Today big pharma, the alcohol and law enforcement industries all profit handsomely from prohibition. Noam Chomsky is one of our planet’s greatest minds, in the video he spells out the original reason for prohibition. 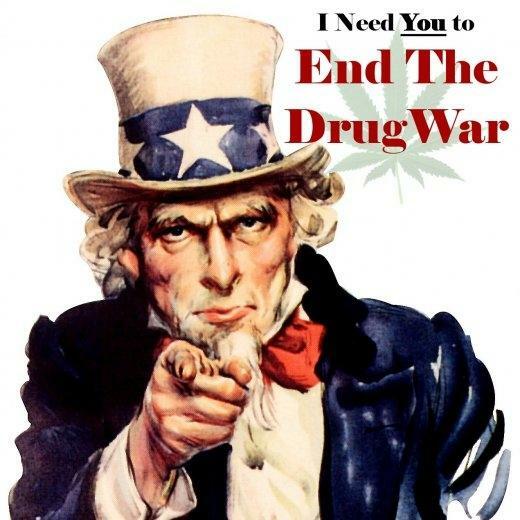 A recent Guardian newspaper poll has shown an 84 percent opinion that the war on drugs has failed. As your wise old grandfather would say, when you are in a hole, stop digging! The war on drugs was started from a place of concern. Drugs have and will destroy lives. They have also enriched and saved them. Professor Nutt was the lead scientist for the UK government up until he publicly released his findings on the harmfulness of drugs. From a scientific point of view, cannabis was ranked well below both tobacco and alcohol. The government’s response was to fire and try to silence him. His report lent further weight to the argument that the war on drugs was both wasteful of tax payers money and pointless. Professor Nutt has since gone on to widely report his findings and increase the public’s knowledge on the actual harms of drugs without the moralizing and ideological misinformation. A public that has tried drugs and generally not seen the negative effects the government are warning about do two things, become criminals in the eyes of the law and start to distrust government. It is time to stop digging. When governments consider a majority of the population as criminal, it is in fact the government that is criminal. The role of government is to serve the people. By taking a stance on drugs that is not scientifically based, they are not serving the public’s interests. Cannabis has recorded zero deaths in the last 5,000 years. You cannot say the same for tobacco, alcohol or even peanuts! Cannabis seizures in the European Union account for 80% of all drug seizures. A huge part of the law enforcement industry is based on drugs. Authoritarian governments, who like to spy on their citizens also like to have large, expensively equipped police forces to suppress public unrest. The war on drugs has been a war on people who don’t think like the government. It has given the authorities an excuse to put their hands into our private lives and establish dominance over us. The public are at best uncomfortable with this situation. Minorities and younger members of society are rightly hostile to this intrusion. 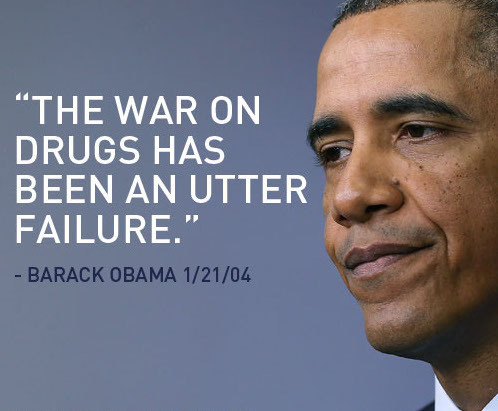 The war on drugs is a failed policy. You can more effectively help society deal with drugs issues by being open and honest. The aggressive government tactics don’t work. Caring for drug users and treating the social conditions that create harmful drug use is a more intelligent use of tax payers money and effort. Today the government is the number one supporter of drug dealers. If you are wondering how older children and teenagers get their hands on drugs, just ask your local unregulated drug dealer. The authorities are criminally negligent for allowing a system of drug distribution which makes children vulnerable to unprincipled criminals. 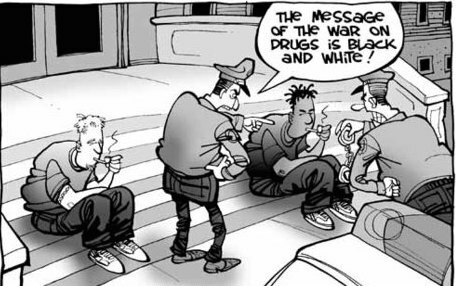 The war on drugs has put everyone in danger. Society has not been protected from drugs. More drugs are available today to the public then ever before. This fact alone must lead government to act. Regulate and tax drugs, decrease the role of police and increase drug treatment. By following this path we would, decrease financial government waste, decrease violence in society while increasing health and safety in a knowledge based community that is lead by science and reason rather than narrow minded tradition and special corporate interests. We are built to evolve, for the sake of a better tomorrow we must start changing today. Educate yourselves and get active!